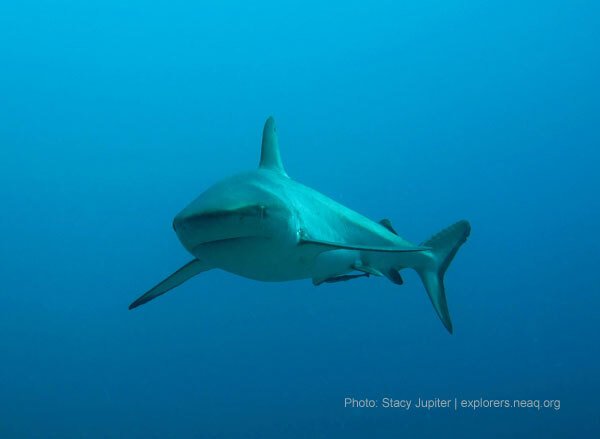 For the past several years, the New England Aquarium has participated in a joint expedition to Fiji, along with the Monterey Bay Aquarium and other conservation-minded groups and individuals. The last expedition took place in October and November 2010. Stay tuned to this blog to follow the team as they dive to collect data on the health of the coral reefs, pick up trash where they find it, check in with the villagers to see how some conservation initiatives are faring and further develop connections with the people that live on these beautiful Pacific islands. Today's post and pictures come from Stacy Jupiter, Ph.D. I could have predicted this. 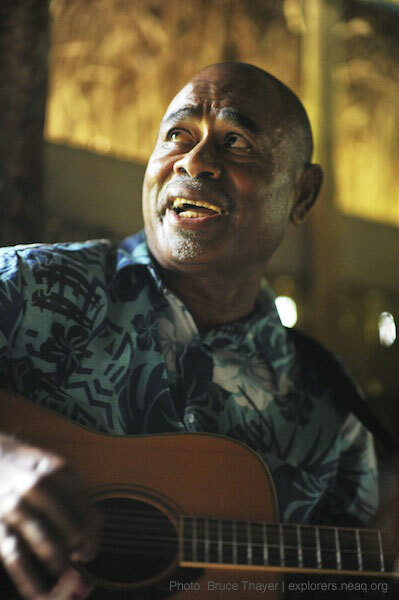 Ever since November 2009, when Cyclone Mick smashed through Fiji and Ratu Vuki and I spent the day singing along to hits from the 60s and 70s in his house to escape the rain, he has labeled the Eagles’ “Hotel California” my song. I am duly expected to perform it each time I come home to Kiobo village, regardless of the company present. My company this time was the people of Kiobo, the NAI’A crew and passengers, and some of my staff from the Wildlife Conservation Society’s (WCS) Fiji Country Program. 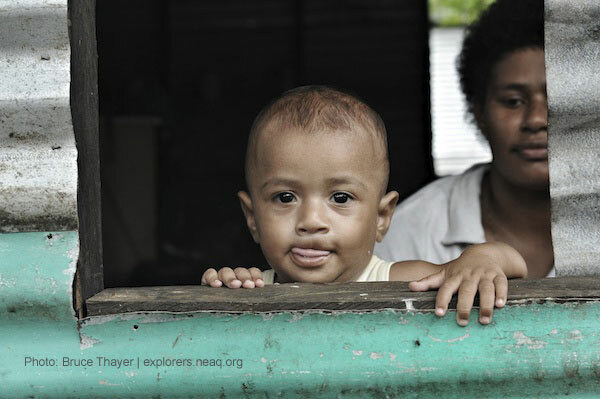 While I have been enjoying the grey reef side show at North Save-a-Tack for the past few days, my diligent staff have been conducting a roadshow through each of the 10 villages of Kubulau District to inform all of the men, women and children of the recent changes to Kubulau’s marine protected area (MPA) network. 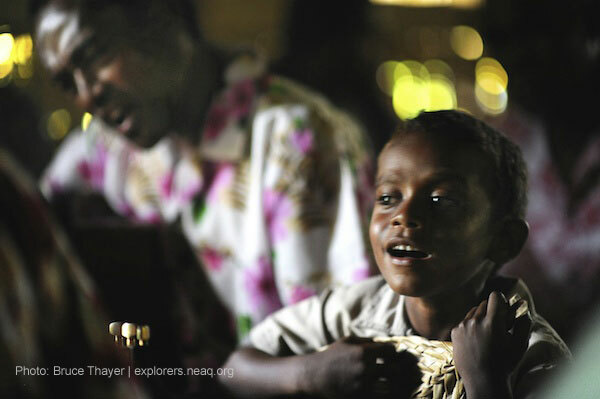 Since 2005, WCS has worked with the communities of Kubulau to set up an MPA network that was one of the first in Fiji to locally achieve the Government goal to effectively protect 30 percent of coastal and marine waters. The MPA network includes the Namena Marine Reserve, which is the largest MPA in the country and boasts some of the finest dive sites in Fiji, including Tetons, Mushrooms, and North Save-a-Tack, which we at WCS often refer to as “Grand Central” given the vast number of intersecting schools of fish. By 2010, we realized that while some of the MPAs, such as Namena, were doing their fare share to protect fisheries resources and biodiversity, others were not working nearly as well. This was largely due to poaching from residents of neighboring districts, as well as lack of awareness of local residents of the exact boundaries of their MPAs. We began having talks with the local managers, representatives from each village who form the Kubulau Resource Management Committee (KRMC), about their willingness to make some changes to the network. As the KRMC were receptive to the idea, we thought it might be wise to also try to provide some new information about which areas of the reefs in Kubulau might be more resistant to the impacts of climate change and which areas potentially could recover more quickly if they do become damaged. These days, climate change is a big concern for coral reef managers. When sea temperatures remain elevated over average summer value for prolonged periods, the corals can become stressed, which can lead to mass coral bleaching. Bleaching occurs when corals eject the algae that live within their tissues. Normally, the corals and algae enjoy a win-win situation. Corals gain food produced from the algae that photosynthesize using the sun’s energy like plants, and the algae meanwhile are protected from other creatures that might gobble them up. But in times of stress, the partnership breaks down and the corals begin to appear white as the algae that provide much of their colorful hues evacuate. Globally, mass bleaching has been occurring more and more frequently over the past three decades. Fortunately, Fiji’s reefs have not been hit by a large event since 2002, and now we are working with the communities to try to minimize any future event. How are we doing that? Well, some corals are more naturally tolerant of heat stress. Thus, we have been looking for areas of reef with high cover of corals such as Porites (the big boulder corals) that might withstand this type of disturbance and still provide reef structure for the fish and other organisms that communities depend on for food. We also look for areas that may be less likely to get as hot due to flushing from strong currents or shading from steep topography. Some disturbance may be unavoidable though. 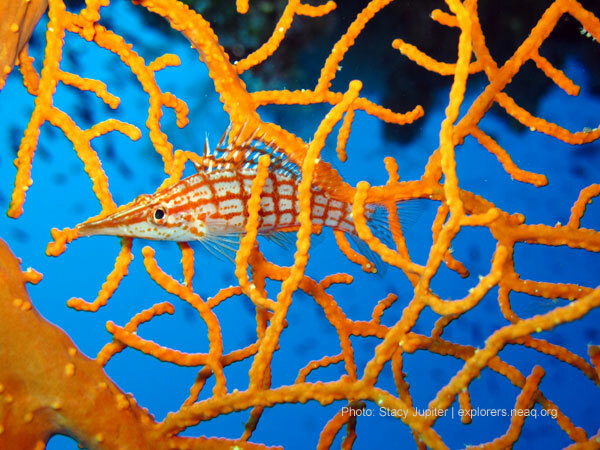 In these cases, there are some factors that determine whether a reef will quickly recover, such as the number and type of herbivorous fish (those that eat algae off the reef), which provides space for new corals to settle. Banning fishing from MPAs will allow herbivorous fish to recover, and these areas may have better odds of returning to good health after a major bleaching event. In July 2011, WCS presented back to the KRMC and other Kubulau community members maps indicating which reefs in their districts would be most likely to resist climate disturbance and which would be most likely to recover if a bleaching event occurred. As a result of this process, the community members consulted among themselves and decided to add five new MPAs to the network. In addition, three villages significantly increased the size of their existing MPAs, and 500 m buffer zones were added to the three largest MPAs, including Namena. 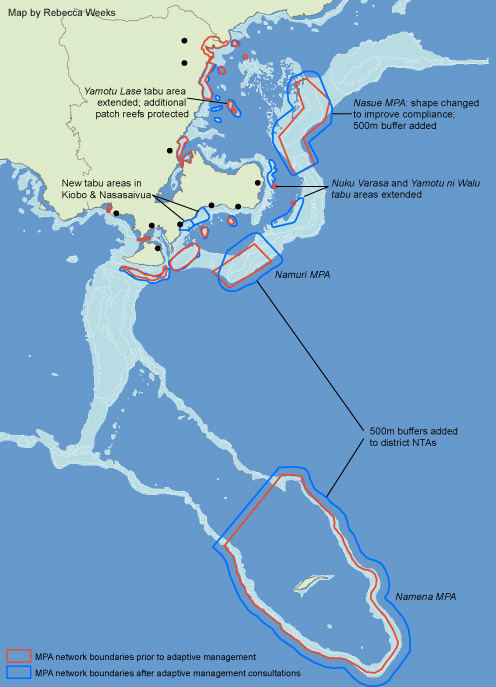 The revised MPA network design was endorsed by the Kubulau high council of chiefs just recently in January 2012. An additional 35 km2 has been placed under management, increasing the total area of the MPA network to 120 km2, which is equivalent to 44% of Kubulau District’s traditional fishing ground. I congratulated Ratu Vuki once again for the good work that he has overseen for his people in Kubulau. Stacy is a Massachusetts native, former New England Aquarium Fishes Dept volunteer, a Peace Corps volunteer in Gabon, and now Wildlife Conservation Society's Director of Fiji Program based in Suva.